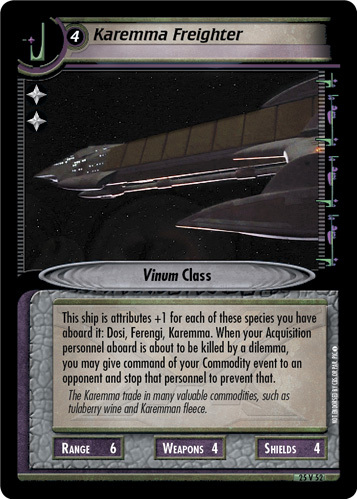 When you play this ship, for each Alpha Jem'Hadar you command, this ship is cost -1. 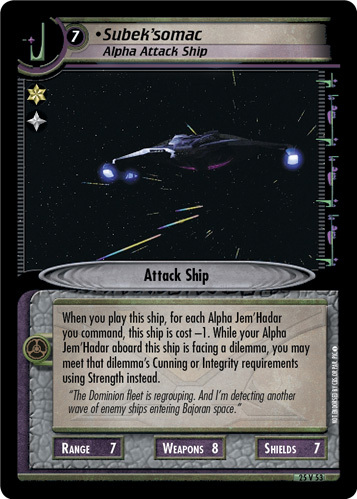 While your Alpha Jem'Hadar aboard this ship is facing a dilemma, you may meet that dilemma's Cunning or Integrity requirements using Strength instead. "The Dominion fleet is regrouping. 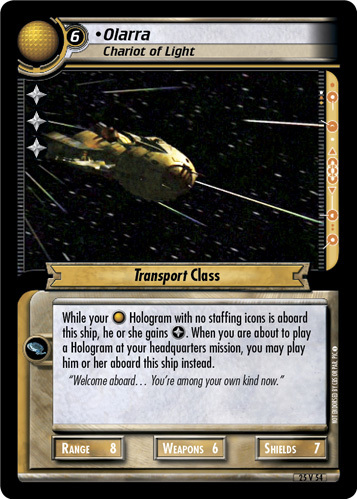 And I'm detecting another wave of enemy ships entering Bajoran space."